fjørå dri1 Pants (M) is rated 4.7 out of 5 by 3. Byxorna fjørå dri1 är särskilt utformade för cykling och ger utmärkt skydd i alla väder. De är extremt lätta, ventilerande och vattentäta, och tar sig an alla utmaningar som väder och vind bjuder på. Byxan har en smal passform, men kan ändå användas över tights eller ett baslager under kallare dagar. Custom-fit waist system™ och områdena med stretch på knän och stuss gör att byxorna sitter bekvämt och bra. Övriga funktioner är bland annat benficka, silikongrepp i midjan, ventilering på utsidan av låret och justering av vidd i nederkant av ben med dragkedja och kardborrband. Benen har en smal passform för att förhindra att tyget fastnar i cykeln. Längd på benets innersöm i storlek S = 81 cm, M = 83,5 cm, L = 86,5 cm, XL = 89,5 cm. De har smal passform. I midjan finns ett silikonband, vilket gör att byxorna inte glider ner vid fysisk aktivitet. Rated 5 out of 5 by Gustavo from Great fit, ventilation and water resistent! I love the pants and the features ! You can tighten them down at the ankle so they get a slimmer fit which is great when biking. They have really good ventilation and light to have in a pocket or so when you need to store them. Rated 4 out of 5 by Lev. from Super light, lots of design features... and too hot. I got these pants 2.5 years ago and used them for biking and hiking. They have a pretty nice fit, slim shins to prevent them to get into chain and flexible knee and saddle ares for better pedaling. The greatest advantage of them, is that they are super light and pack-able to be a "Plan B" if the weather turns rainy. However, after all these seasons I could not get used to them as they are simply too hot. I don't know, if it is due to membrane or due to the design of short ventilation exhausts (from hip to knee only, both sides, mesh protected), but as soon as I give the legs some challenge or activity push, an overheat comes. I tried them with different shell jackets or with T-shirt only, but adjusting temperature of the torso does not help to decrease the overheat of the legs. Thus, the only ways to use them now is to cruise in a wet forest with a high grass or to work peacefully in a rainy day. In general, I would recommend them only to those, who tend to feel cold or does not produce much heat when exercising. Rated 5 out of 5 by nalexpalex from Improved fit and durability I have owned the previous fjørå dri1 pants for almost 4 years and abused them for my every day commuting in the rain and snow, as well as for very rainy days on the mountain bike. I must acknowledge that this new version is a real improvement. 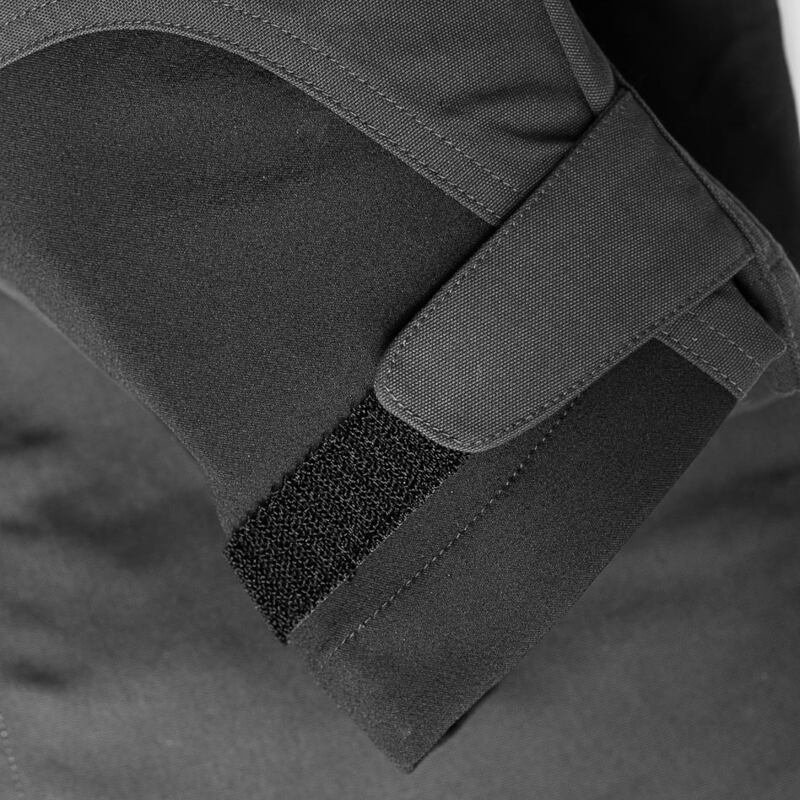 The fit is more adapted to biking with a nice gusset on the lower leg that keeps the pants away from getting destroyed in your chain. Versatility is also here as you get a regular fit on the leg when the gusset is open (wide enough to fit on top of big rubber boots). Zippers are more heavy duty, and the fabric has successfully withstood 3 heavy crashes in the woods without tearing. A good product made even greater! Do knee pads fit under these pants? 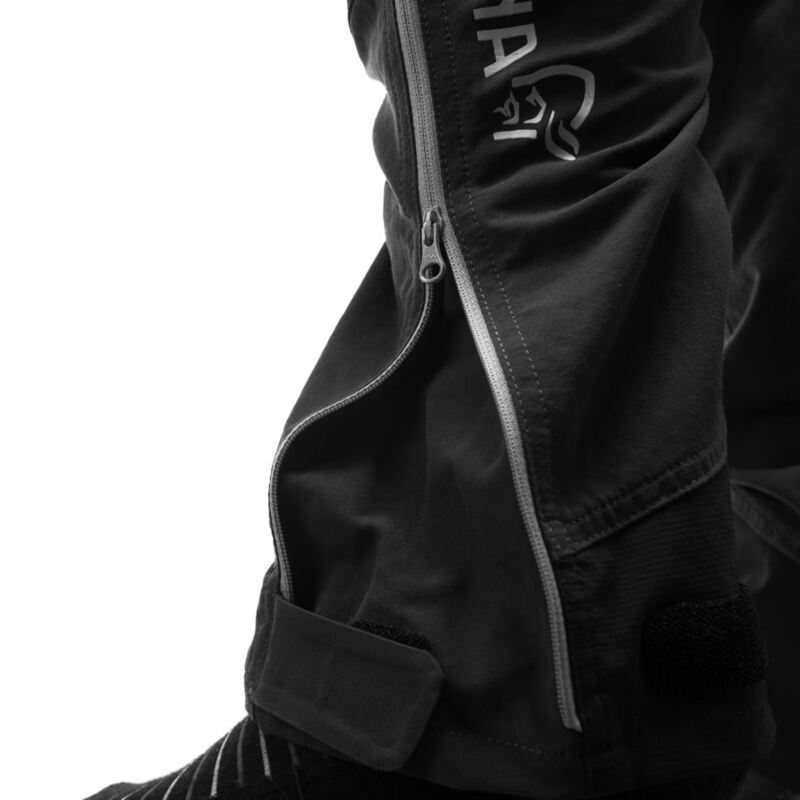 Hello, You will most likely no be able to wear knee pads under the fj&oslash;r&aring; dri1 Pants. I would recommend wearing them on the outside to also protect the pant in case of a crash or fall.